"The women at Fox News spoke, and the Murdochs listened." That's what a senior executive told CNNMoney one day after Roger Ailes resigned from Fox News. 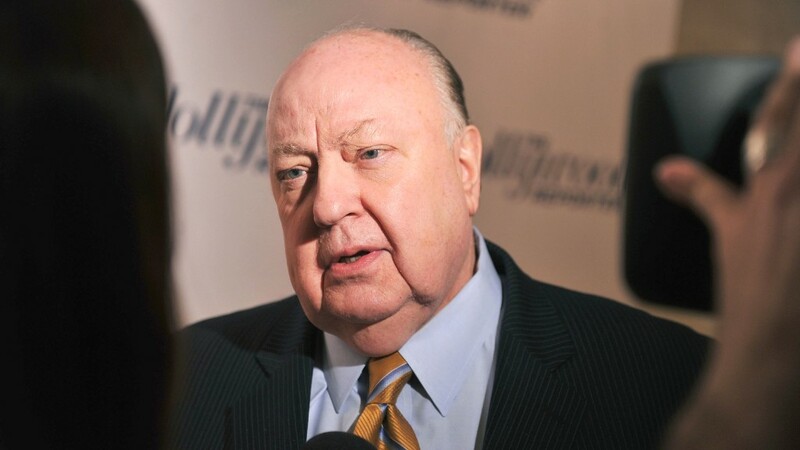 Ailes, arguably the most powerful man in media, is suddenly without a job after ex-anchor Gretchen Carlson sued him for sexual harassment and other women came forward to support her claims. Now come the aftershocks, and there will be many, from fears of a talent "walkout" to questions about legal liability. Ailes is ultra-competitive, and his associates believe he'll try to settle the score with 21st Century Fox. "When Roger gets knocked down, he wants to get up and swing right back," one of the many Fox hosts loyal to Ailes said. But the non-compete clause in his exit deal prohibits him from working for another news organization; the duration of that clause is unknown. As the Republican National Convention ended in Cleveland, people on both Ailes' side and the Murdoch family's side said they expected Ailes to advise Donald Trump's presidential campaign, even if not in an official capacity. Ailes has not commented on that possibility. A spokeswoman for the Trump campaign declined to comment. In a letter to his boss Rupert Murdoch, Ailes said he would remain a "consultant" to Rupert. When 21st Century Fox pushed back on that, he changed the word to "adviser." But that, too, might be overstating it. A senior executive said there's a chance Murdoch will call on Ailes, but that the "adviser" arrangement was pro forma. Ailes, who built Fox News basically from scratch 20 years ago, relinquished his office on Thursday. His resignation was effective immediately. He was not able to address Fox staffers on the way out. But he is getting a payout in excess of $40 million, a dollar figure which is already coming under criticism. Some supporters of Carlson say Ailes is being rewarded for sexual harassment. The Murdoch family's view is that they were obligated to pay Ailes the amount he is owed through his contract. Ailes' exit agreement includes legal language that forbids Ailes and the Murdochs from publicly criticizing each other. Similar non-disparagement clauses prevented some ex-Fox employees from speaking freely about alleged harassment by Ailes. What ultimately made the difference was Carlson's lawsuit, in which she alleged her contract to anchor the 2 p.m. hour was not renewed because she refused Ailes' sexual advances. A P.R. effort by her lawyers spurred other women to speak about Ailes, some on the record but mostly anonymously. The Murdochs hired the New York law firm Paul, Weiss to look into the matter -- and the firm quickly found that others at Fox, including 9 p.m. host Megyn Kelly, had stories of inappropriate behavior by Ailes. The results of the internal review will not be made public. But there have been some leaks. Vanity Fair's Sarah Ellison reported on Friday that Paul, Weiss lawyers found "multiple instances of sexual harassment and other inappropriate conduct" by Ailes. For reasons apparently relating to the non-disparagement agreement between Ailes and the Murdochs, Fox cannot specify the number of women who leveled sexual harassment allegations. The chain of events raises a question: if women like Kelly were harassed many years ago, why did Ailes remain in power for so long? A 21st Century Fox spokesman declined to comment. Kelly, flanked by bodyguards, said nothing to reporters on Thursday night while leading Fox's prime time convention coverage. Deciding what to say, and what not to, will be a challenge for Fox personalities going forward. Many Fox hosts and reporters are fiercely loyal to Ailes and owe him for their professional success. Numerous staffers defended Ailes publicly and privately expressed disbelief about the allegations against him. Some even criticized Carlson directly. Rumors continue to swirl inside Fox News headquarters about a potential talent revolt, though the channel's best-known hosts, like Kelly and Bill O'Reilly, aren't going anywhere anytime soon, a source inside the building said. Carlson, for her part, has mostly expressed herself through retweets of supportive articles. One was titled "Ailes' Downfall Is A Testament To The Rising Power Of Women." There is uncertainty inside Fox about whether other executives will be part of a wider "housecleaning." One network correspondent said there are concerns that some of Ailes' lieutenants were aware of the harassment claims. A corporate source confirmed that this is a factor for the company going forward. CNBC reported on Thursday afternoon that the Murdochs are "leaning towards cleaning house, removing many close to Ailes." But every move the Murdochs make is risky. Fox News is a profit engine for the entire parent company. One of the executives closest to Ailes, public relations chief Irena Briganti, was unreachable earlier this week, spurring speculation that she might be on the way out. But she remains in charge of the Fox News P.R. department. What the network needs right now, a prominent talent agent said Friday, is a "deep breath." The agent and several other sources said they've been reassured that there will no sudden changes to the programming or editorial bent. For the time being, advertisers are not panicking and Fox viewers are not fleeing. To the contrary -- the network had a huge audience for Trump's acceptance speech. Speaking on the sidelines of the convention on Thursday night, Juan Williams, a co-host of Fox's 5 p.m. program, said it is critical not to lose sight of the reason why Fox is so successful: its audience. "They like the product. They like it a lot," he said. "The question is, how do we, as a ship, hold steady right now and deliver for the audience?"